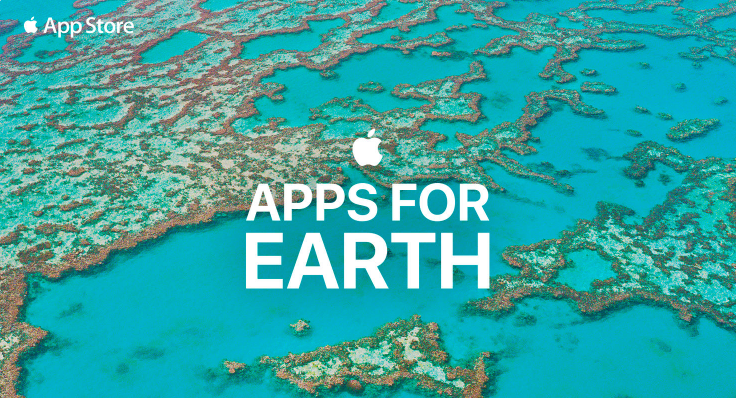 The App Store and WWF have teamed up with 24 developers for Apps for Earth, a fundraising effort that features games, creative tools, fitness apps, and more. Until April 24, 100% of proceeds from participating apps and In-App Purchases will support WWF’s conservation efforts. Participating apps all bear a modified icon to show their participation and are grouped together on a iTunes store page and featured in a customer email and Apple.com and the company’s environmental page. It’s always refreshing to see consumer-facing campaigns like this one from Apple since they tend to be few and far between. It appears Apple is going all out to support this WWF partnership and their participation in Earth Day with multi-channel activations from green employee t-shirts to turning the leaf on the Apple logo green at 132 stores. As always, we’re not fans of the ‘percentage-of-proceeds’ language and would prefer to know campaign minimum/maximum donations and specific donation amounts by participating apps. But while critics are sure to claim greenwashing, we’re encouraged to see Apple stepping up to become more involved in an environmentally-focused conversation and bringing consumers and app developers along in their powerful wake.